When Cisco DNA Center’s open source Platform was announced earlier this year, it made waves throughout the industry. Opening up the Platform gives developers and third-party partners access to APIs, which businesses of all kinds are using for in-depth network analysis and enhanced results. With the DNA Center Platform, enterprises have the opportunity to achieve powerful results through network automation, saving time and improving organizational efficiency. One third-party partner that is seeing impressive results is ServiceNow, an IT service management (ITSM) firm. Here is how they used DNA Center APIs to improve the capabilities of their help desk, driving improved results for their clients. IT troubleshooting is a time-consuming task for ServiceNow’s customers, taking time away from other business development tasks. Tap into DNA Center’s rich API catalog: The DNA Center Platform offers Intent and Integration APIs, which expose specific capabilities of the DNA Center Platform while maintaining network security. Tap into network data: The APIs translate DNA Center information into language that’s understood by the ServiceNow system. Achieve a high level of visibility: DNA Center offers 360-degree visibility of any device on the network. Rather than just receiving information about a device, ServiceNow receives surrounding information such as topology, giving IT teams deep insights into issues and allowing them to resolve those issues quickly. Facilitate proactive troubleshooting: DNA Center APIs produce real-time alerts for ServiceNow clients, allowing their team to troubleshoot potential issues before they cause network slowdowns or downtime. ServiceNow’s integration with DNA Center streamlines help desk ticketing. Even user-generated tickets contain useful information, including any past issues and topology. If resolving the issue requires a network change, IT staff can click a button that implements recommended changes. By including a wealth of contextual information that’s been directly imported from DNA Center, ServiceNow clients are seeing improved efficiency around their troubleshooting process, freeing up hours of staff time. Accenture partners with ServiceNow for their help desk ticketing. They were faced with a challenge many firms are experiencing: ensuring all their network devices are in compliance. In the past, an engineer would have to manually create a ticket, which could leave room for human error. By using DNA Center APIs and ServiceNow’s integration, DNA Center detects when Accenture’s devices are non-compliant and automatically creates a ticket, which includes recommended remediation steps. DNA Center and ServiceNow seamlessly coordinate, greatly reducing the time and effort Accenture staff needed to spend on keeping network devices in compliance. Intent APIs: These APIs are designed to simplify workflows and consolidate multiple network actions. For example, by using the SSID provisioning API, a network administrator can unload much of the SSID configuration workload, making it an automated, rather than manual, process. 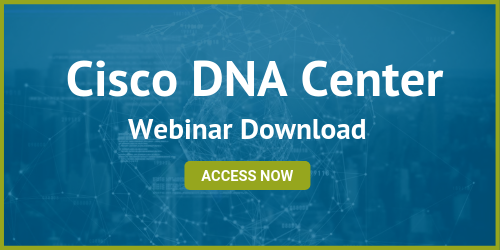 Multivendor support: The DNA Center Multivendor SDK provides device information about non-Cisco Devices, ensuring true visibility across your network. Events and notifications: The Platform facilitates custom notifications about specific events, such as events generated by Cisco DNA Center Assurance. An open source DNA Center offers exciting opportunities for innovation and business process improvement, all while maintaining a secure environment. What Can Open Source Do for You? Review your current IT workflows: Where are bottlenecks occurring? Is your ticketing system cumbersome or uninformative? Look for areas where additional information or automatic ticket generation would improve efficiency for your team. Integrate the appropriate APIs: An in-house development team can explore DevNet, Cisco’s open source development platform. It includes learning tracks and a sandbox to facilitate exploration. 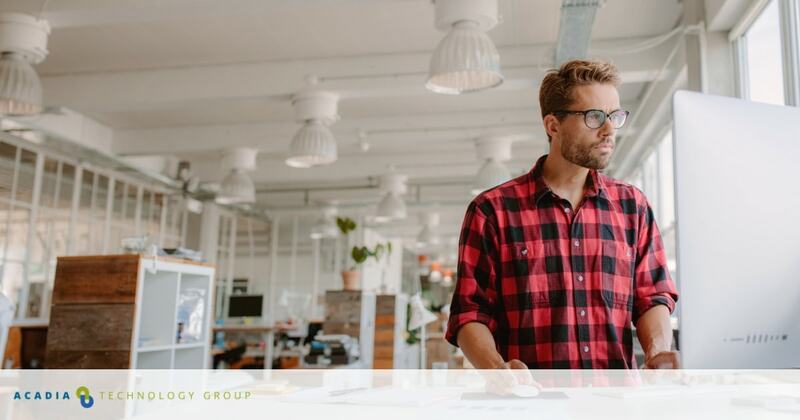 Work with a trusted partner: With all the possibilities that open source has to offer, firms may benefit from working with a trusted partner who can help them implement open source in a way that aligns with their business goals. At Acadia Technology Group, we understand that you need technology that will move your business forward. We provide real-world solutions to the technology challenges you face. To find out more about the possibilities of open source, contact us today.